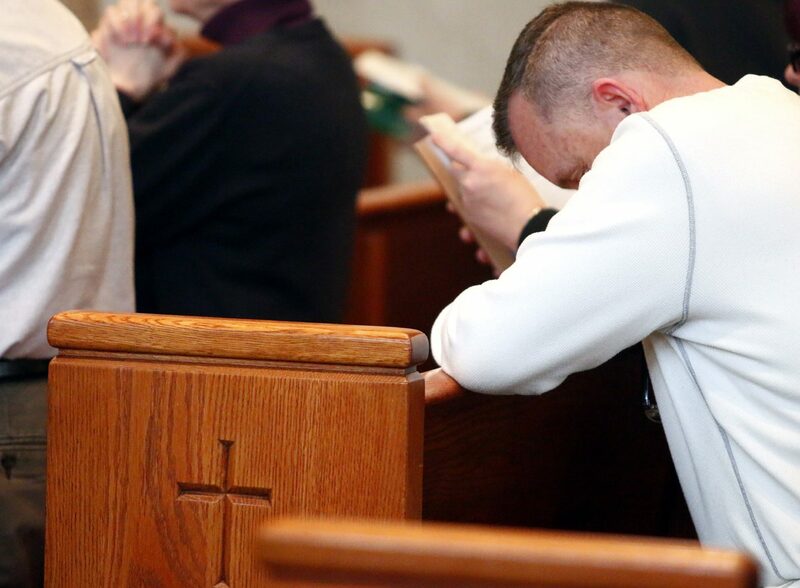 Tom Gallagher from St. Rita Church in South Philadelphia prays during the Mass. A Mass for those suffering from addiction will be celebrated by Father Louis P. Bellopede on Saturday, Sept. 22 at St. Mary Church, Schwenksville. Addiction has touched far too many families and taken away far too many loved ones. All are invited to the Mass to draw strength from one another in the power of faith. Mass will be celebrated at 11 a.m. followed by adoration of the Blessed Sacrament. Confessions will be heard beginning at 9:30 a.m.
St. Mary Church is located at 40 Spring Mount Road in Schwenksville, Montgomery County.